RAVAN stands for ‘Radiometer Assessment using Vertically Aligned Nanotubes’ and is a 3-Unit CubeSat mission funded by the NASA Earth Science Technology Office and operated by the Applied Physics Laboratory at Johns Hopkins University. 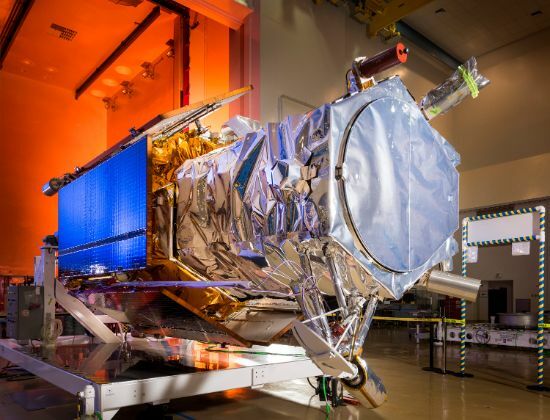 The mission aims to demonstrate the technology needed for the measurement of the absolute imbalance of Earth’s radiation budget – a valuable parameter for climate research. The primary objective of the CubeSat mission is to demonstrate a small, low-cost radiometer capable of measuring Earth’s diurnal radiative cycle with sufficient accuracy to determine absolute energy imbalance. 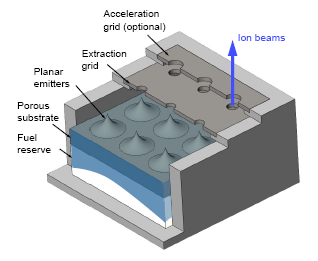 This is accomplished through the use of a miniaturized radiometer outfitted with a conventional blackbody calibration source plus an experimental absorber known as VACANT – Vertically Aligned Carbon Nanotubes, the ‘blackest’ substance currently known, making it ideal to absorb all radiation with negligible reflection. 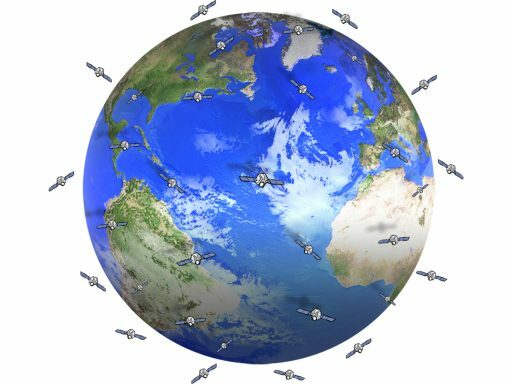 If successful, the RAVAN mission might provide the necessary Technology Readiness Level for funding of a larger constellation of small satellites using this type of radiometer to collect data for vastly superior tracking of climate change and future predictions based on hard data. ERI, Earth’s Radiation Imbalance, was thought to be Zero before industrialization, meaning that the energy put into the Earth system from the sun was equal to the Total Outgoing Radiation, meaning the total Energy of the Earth would remain constant over the long run. If an imbalance is present, the total energy of the Earth system will change and, over the long-term, impact the global climate. For the prediction of climate change, the measurement of ERI is of vital importance because it simplifies the whole debate to whether ERI is negative -> Earth will cool down, or positive -> Earth will warm. However, this requires a very accurate measurement of the outgoing radiation, assuming a constant solar input is measured via other space assets which is a trivial measurement compared to Earth’s output. Previous space missions were unable to measure ERI to the accuracy that is required to uncover imbalances of only 0.5W/m². RAVAN will demonstrate a cost-effective way of unambiguously measuring Earth’s Energy Imbalance: deploying a large number of CubeSats with radiometers accurate to NIST requirements. The big challenge is developing a compact radiometer that can indeed capture all outgoing radiation from the UV to the far infrared band with a climate accuracy better than 0.3W/m² with high measurement stability over time. 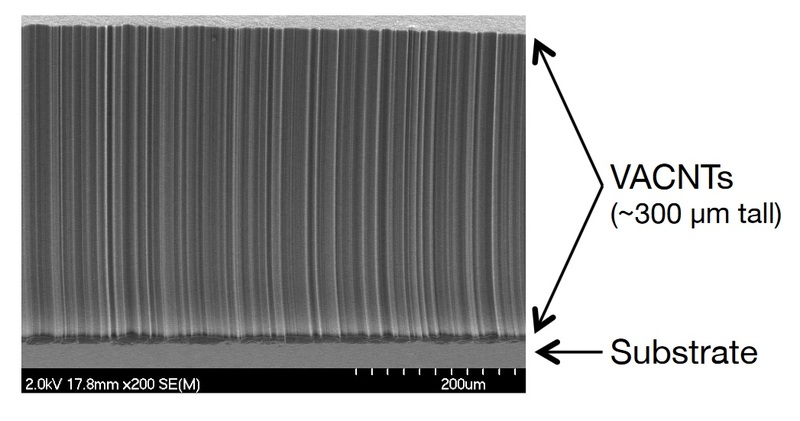 VACANTs (Vertically Aligned Carbon Nanotubes) are hoped to solve this problem, representing a novel absorber material characterized by an extremely flat spectral response over a wide wavelength range. Also, the material is perfectly suited to withstand the rigors of space flight and does not outgas which is typically a problem for precise satellite instruments. The VACANTs, grown at JHU/APL, are 300 micrometers to one millimeter tall and are the blackest material known to man, acting as excellent photon traps and providing equally excellent thermal conductivity. 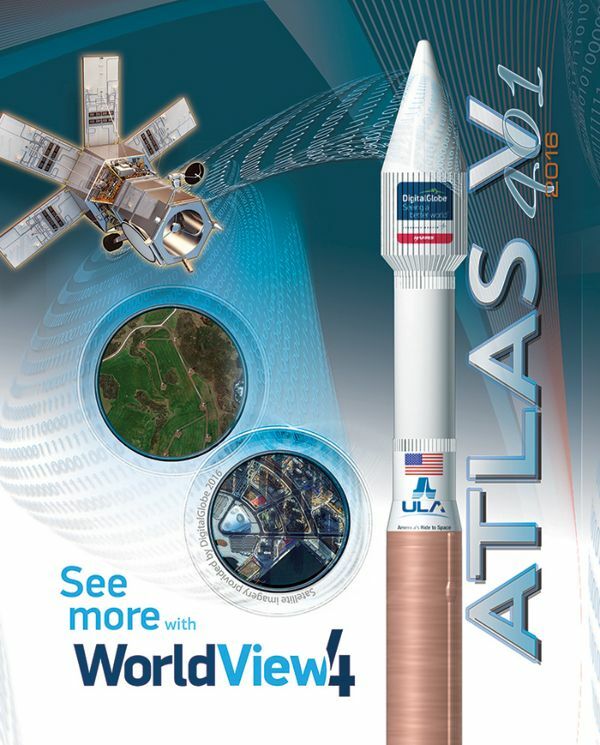 The RAVAN satellite utilizes a commercial CubeSat Bus of Blue Canyon Technologies with active three-axis control through the use of star trackers, reaction wheels and torque rods, command capability through the Globalstar network, 2.5MB/day data downlink capability via UHF, and sufficient power generation for operation of the radiometer. 2U on the CubeSat are occupied by the bus structure while the remaining 1U is available payload volume. The RAVAN instrument finds its roots in the NISTAR radiometer flown on the DSCOVR mission stationed at L1 to provide advance warning of solar storms but also taking advantage of the long-distance vantage point to keep tabs on Earth’s energy balance. RAVAN is comprised of four independent cavity radiometers – two which use the VACANT material and two featuring a conventional conical design. Each pair has a total channel covering wavelengths from 200 nanometers to 200 micrometers and a shortwave channel optimized for wavelengths under 5.5 micrometers, using a sapphire window to block the long-wave infrared. This design allows RAVAN to distinguish between directly reflected sunlight and Earth’s total emission. The radiometers have a 130-degree field of view to capture the entire disk of Earth from Low Earth Orbit. Two doors protect the radiometers and can be closed whenever required during the mission. Mounted on the doors are the two Gallium blackbodies to be located directly above the total radiometers when the doors are closed. 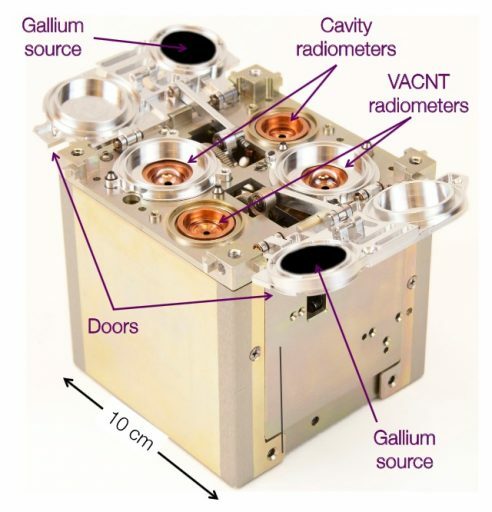 The Gallium calibration source uses the solid–liquid phase transition (29.76°C) as a stable fix point known to within 0.005 Kelvin. Further calibration is accomplished using solar observations plus firing infrared lasers at the orbiting satellite. The AeroCube 8 satellites also demonstrate the use of a light-weight harness and the use by Carbon Nanotube radiation shielding for application in future satellites. 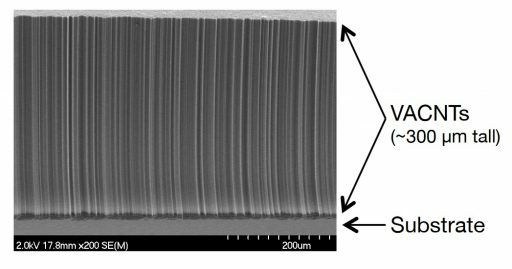 In addition, the satellites demonstrate the use of quadruple-junction inverted metamorphic multi-junction (IMM) solar cells and quintuple-junction Semiconductor Bonding Technology (SBT) solar cells. U2U, Untitled 2U, is a 2U CubeSat developed and operated by the Air Force Research Laboratory (AFRL) outfitted with what is only known as Electron and Globalstar Mapping (EGM) Experiment. 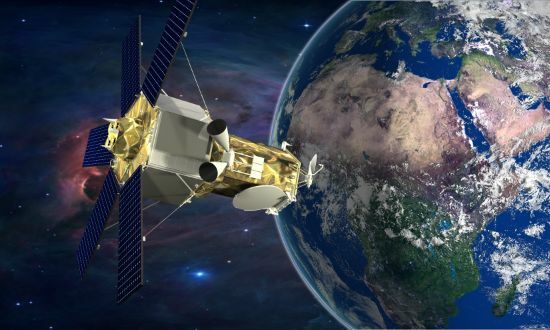 An Air Force presentation indicates the satellite has a mass of up to five Kilograms and will demonstrate the use of commercial communications operator Globalstar to provide comm to operate AF spacecraft. This requires a characterization of the Globalstar network for LEO spacecraft communications via duplex and simplex radios. 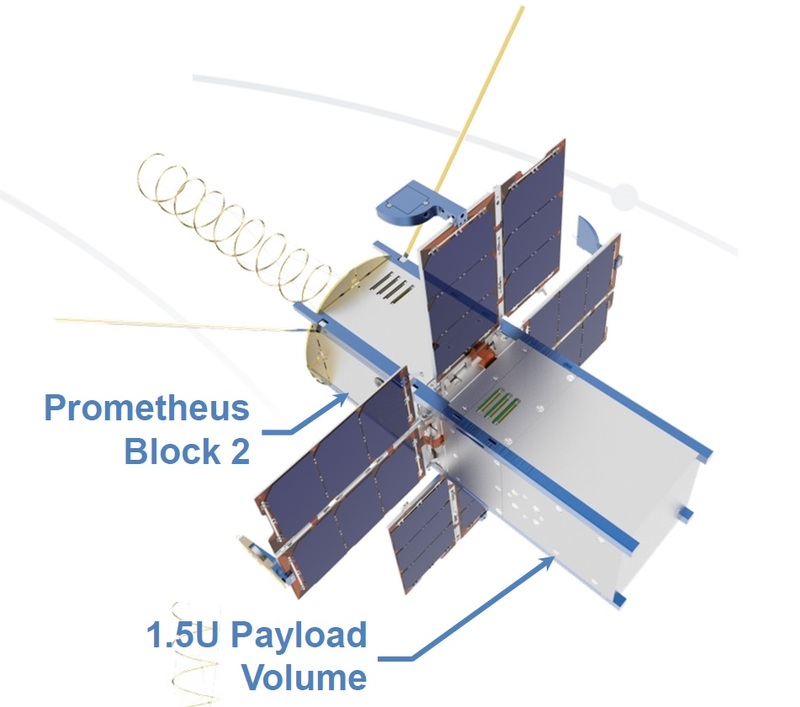 The Prometheus Block 2 satellites are developed and operated by the Los Alamos National Laboratory (LANL) and follow up on a successful series of missions of eight Block 1 satellites and the Perseus program. 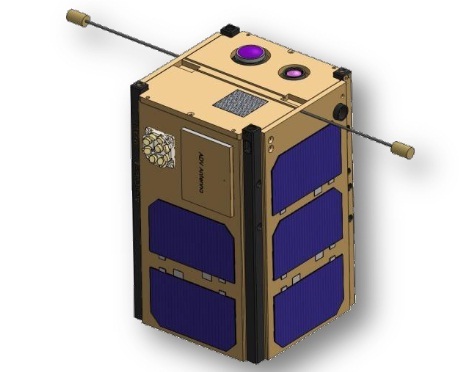 Their primary purpose is the demonstration of low-cost satellites in a feasibility study of CubeSat applications in communications between remote field sites and ground station terminals in a store-and-forward environment. 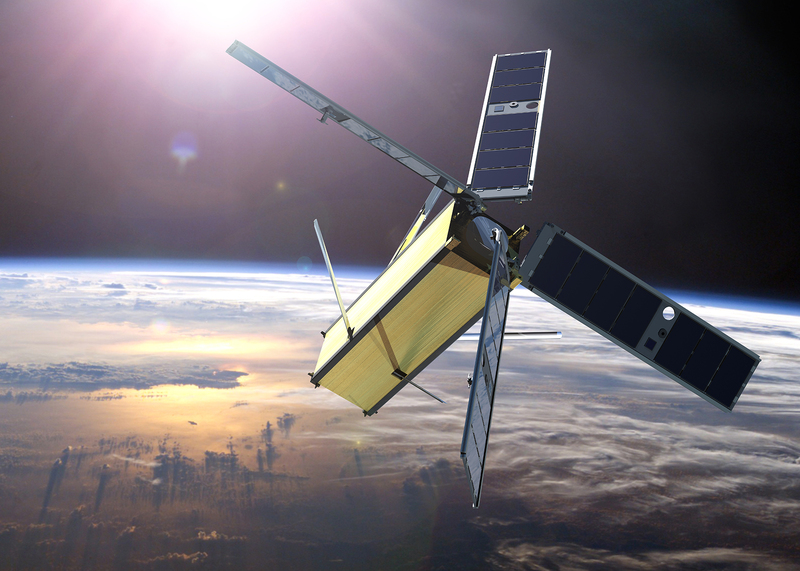 Each of the 1.5U CubeSats is manufactured for less than $100,000 and features four deployable solar panels, an active attitude control system with stellar sensors, and a Software Defined Radio with a footprint sufficiently small for tactical operations. The CubeSat Enhanced Locator Transponder Evaluation Experiment (CELTEE) is a 1U CubeSat mission of the Air Force Research Laboratory (AFRL) to test the performance of an Enhanced Location Transponder in support of Space Situational Awareness. With an increase in the number of CubeSats, many of which will soon employ maneuvering capability, the Air Force identified the need for an accurate means of tracking their orbits in support of Space Situational Awareness and a reduction in conjunctions with other resident space objects which could be realized by outfitting satellites with small locator transponders for orbital tracking and easy identification.